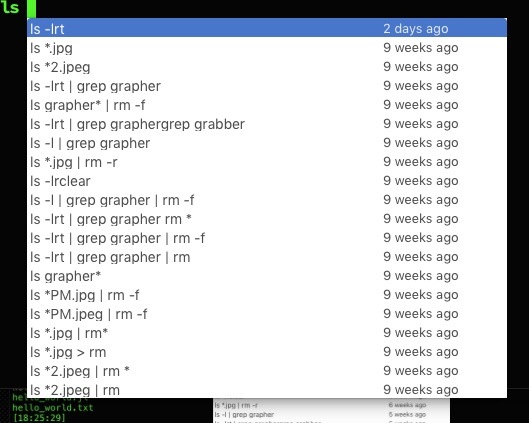 When I am running on the command line using iTerm, it is in a different mode than I'm used to, shown in the images below. When I try to type a command it shows all the previous variations of that command. When I try to run a commandit often adds other options to the command line. How do I get out of this mode? Any text that exists in a tab or its scrollback buffer can be autocompleted in that tab. To use autocomplete, type the beginning of a word and then press cmd-;. An autocomplete window opens showing the top 20 choices for words beginning what you have entered. The list can be filtered by typing a subsequence. The filter can be reset by pressing backspace. If you make a selection and press return, it will be entered for you. If you make a selection and press tab, your autocomplete will be extended with the selection. To just get "out of this mode" – not making a selection – hit esc. If that's the case, then clicking edit should open a sheet-pop-up where you see some entries, one of them providing this now unwanted feature. In the lower left here is a plus and minus sig box. Select the unwanted trigger and delete it. Alternatively, you might just create an entirely new profile (first picture with "Default" + "TUSTEP"), click the plus sign in the lower left, and compare settings with your former "Default"-profile (in case you have some more sophisticated settings). might also be worth a look. 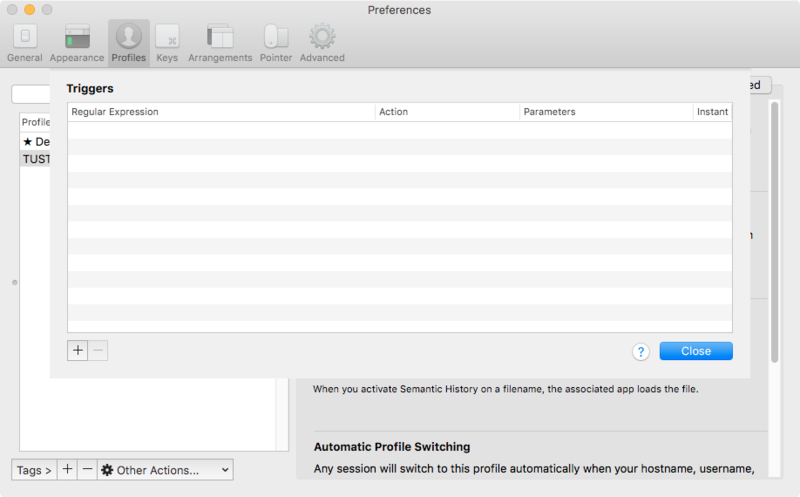 when running iTerm click on the View menu and under that menu is an option for "Auto Command Completion". That option was selected which caused the problem mentioned in the question. When that option was deselected the iTerm windows performed as normal. Not the answer you're looking for? 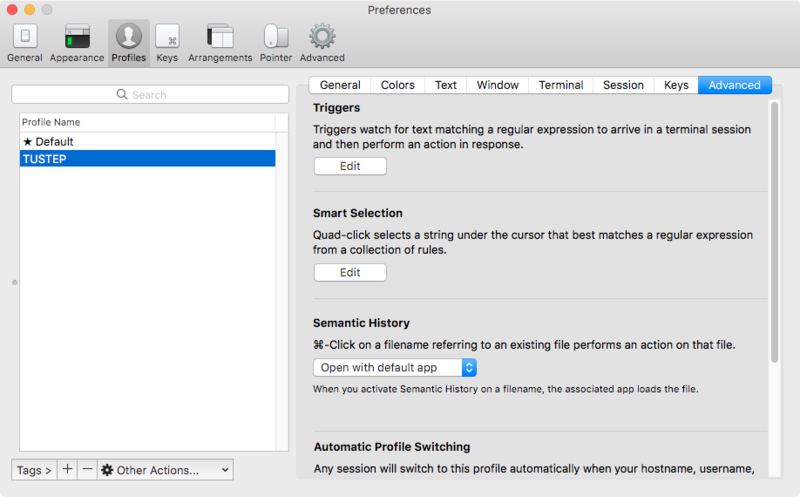 Browse other questions tagged macos iterm . How to get Ctrl+return key binding for emacs in iTerm2 working? How can I reset a Mac's password from Single User Mode? How to enable true color mode in an OS X Terminal?